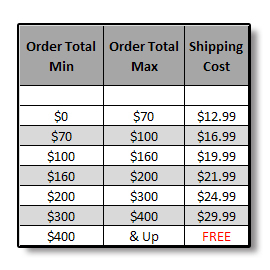 UreTop Metallic Urethane Topcoat 1.5 Gallon Kit - Buy Custom Paint For Your Automobile Or Motorcycle At Discount Prices! 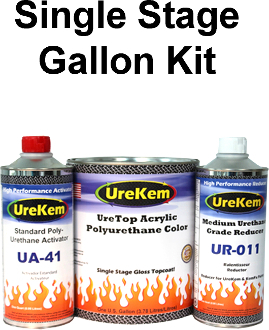 This listing features a kit containing a full GALLON of a UreTop Polyurethane Topcoat METALLIC color your choice, a QUART of activator and a QUART of reducer. There are 35 standard color options including the following; Stellar Silver, Iridium Silver Metallic, Fine Silver Metallic, Titanium Frost Metallic, Pewter Metallic, Charcoal Grey Metallic, Wool Grey Metallic, Coffee Bean Metallic, Fawn Metallic, Light Gold Metallic, Champagne Metallic, Red Gold Metallic, Copper Red Metallic, Burnt Orange Metallic, Peach Metallic, Sassy Pink Metallic, Cotton Candy Metallic, Watermelon Metallic, Fire Red Metallic, Marooned Red Metallic, Plum Crazy Metallic, Purple Haze Metallic, Lavender Frost Metallic, Frost Blue Metallic, Turquoise Frost Metallic, Arctic Blue Metallic, Aqua Blue Metallic, Royal Blue Metallic, Amethyst Blue Metallic, Teal Metallic, Slate Blue Metallic, Euro Green Metallic, Alien Green Metallic, Synergy Green Metallic, Black Sparkle Metallic, Copper Head Metallic, Crimson Crush Metallic, Blue Moon Metallic, Egyptian Gold Metallic, Viola Crystal Metallic, Gun Metal Grey Metallic, LeMans Blue Metallic.